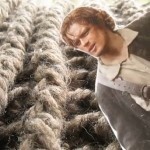 Thought we were all out of Halloween craft ideas after our last round-up? Guess again, because we’ve got plenty more Halloween makes up our sleeves – this time with a little help from Etsy, because we love supporting the handmade community. 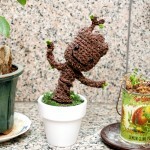 There are plenty (and I do mean plenty) of excellent Halloween-related things to buy on Etsy, so this round-up is just a little spooky taster. 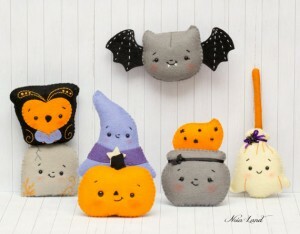 Noia Land sells this PDF pattern for a Halloween felties garland (£4.48). The finished garland would be made up out of owl, cauldron, broom, tomstone, witch hat, bat and pumpkin felties – which you can also make and use as individual felt brooches. 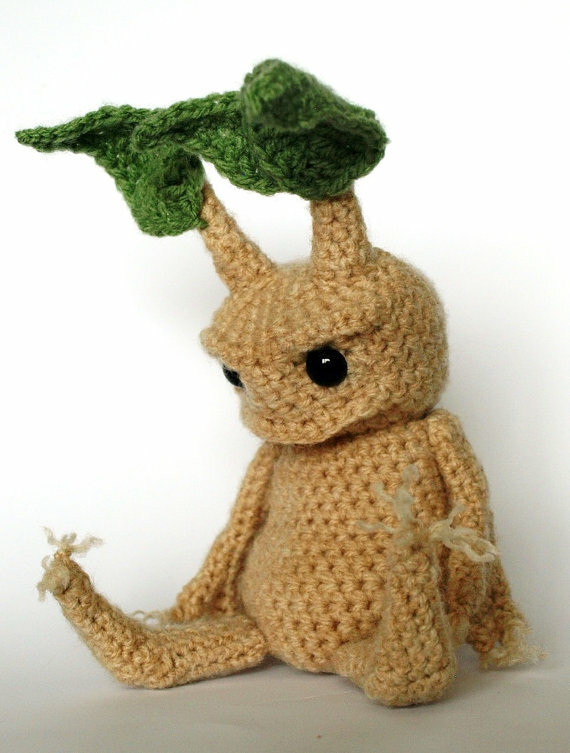 The PDF includes step-by-step photo instructions on how to make the entire thing, a materials and supplies list and full size pattern pieces which you don’t have to enlarge. Just print them out as they are. If you like Noia Land’s style of patterns, and you love working with felt, there’s a separate Halloween section of the shop in which you can get plenty more cool patterns, such as this Wolfman and this (super cute) Black Lagoon creature. Who would have thought that super cute and Black Lagoon creature would ever work in the same sentence, ey? 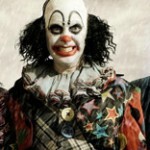 Every Halloween celebration needs a bit of Tim Burton-at-his-best magic. 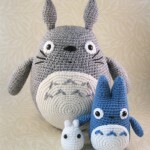 This PFD download for a set of amigurumi The Nightmare Before Christmas (which he wrote and produced, but not directed as he was busy doing a little movie called Batman Returns) characters (£4.16, from rabbizdesign) seems very fitting. The pattern includes Jack Skellington, Sally and Zero – and I heartily recommend listening to the movie soundtrack while making these. 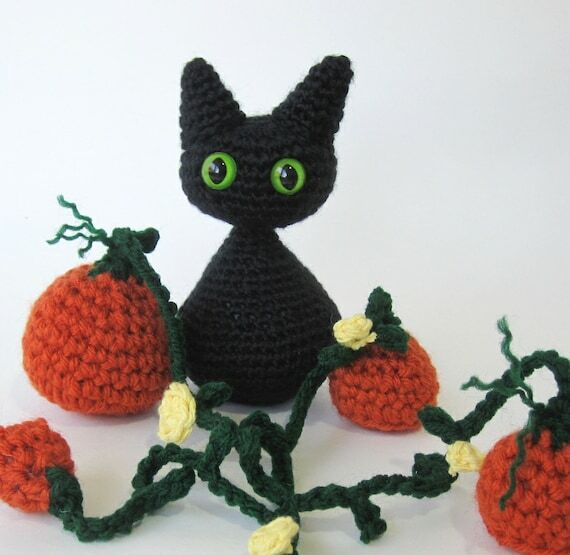 If you’re a crocheter who sells their makes, this creepy kitten in a pumpkin patch pattern (£4.47) is an idea addition to your Halloween stock – just make sure you link back to (and fully credit) Simply Collectable, who designed and sells the pattern. 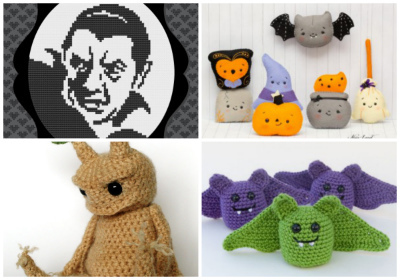 TheItsyBitsySpider – not the one who went up the water spout, of course – has an amazing Halloween pattern section, which you will have to pace yourself for because you’ll want to buy and make ALL THE THINGS. 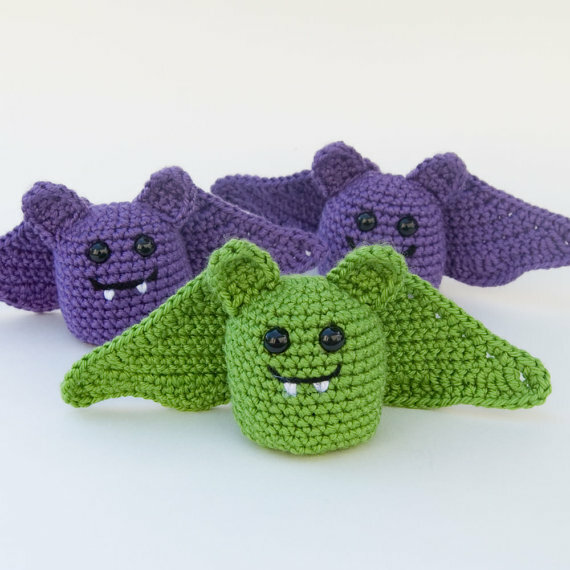 If only I could do crochet; I’d be buying the pattern for these adorable little amigurumi bats (£3.20) in a heartbeat. 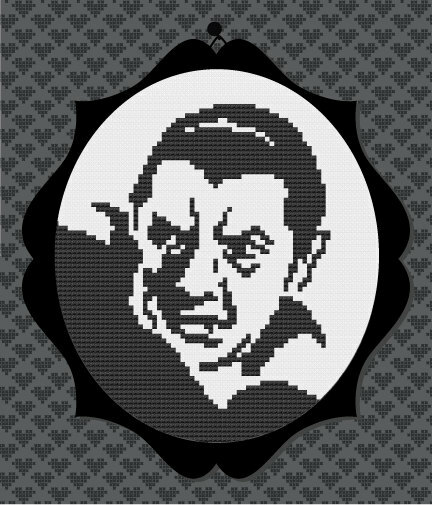 With these folks, every night is Halloween – cross stitch yourself an Addams Family family portrait, with this pattern (£6.39) from YouMakeMeSewHappy. And if you’re keen for more Halloween cross stitch action, and you happen to be a classic horror lover, kattuna has patterns for both a Dracula and a Frankenstein’s creature cross stitch (both £2.24). And finally, I couldn’t resist putting this one in because it’s both creepy and romantic – Frankenstein’s creature and his bride, united in this PDF cross stitch pattern from Beta Stitch by LadyBeta (£1.92). Because even monsters need a mate.